Lady Grace imagines escaping her cruel husband and miserable life. A portal into the past offers her so much more than she bargained for. Including meeting the man of her dreams whose life is at risk. Can she save him? Can he rescue her? Although I was asked to review this book, I was intrigued by the story and might have picked it up on my own. 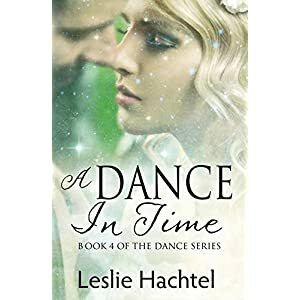 It is the fourth book in a series, but the first Leslie Hachtel book I've read. I like time travel stories, and the unique idea of traveling back in time from a time already long past was intriguing. The story was nicely done, full of romantic notions, pirates, lovely and spunky heroines with a punch, and juicy hints at romantic interludes. Although the author made appropriate nudges about the first three stories in this series, I never felt as though I was missing something, and am enticed to check out the other books as well as more of the author's work. This is historical fiction from the early seventeenth century Britain, back in time to a moment of King Henry Viii. I changed my mind a couple of times about the identity of the smuggler ring, so that was a sweet success of a mystery to me. Nicely done, told in alternate viewpoints between the two main characters. Good research without getting boggy in detail. For those who like historical romances. Clean, with a lot of innuendo.